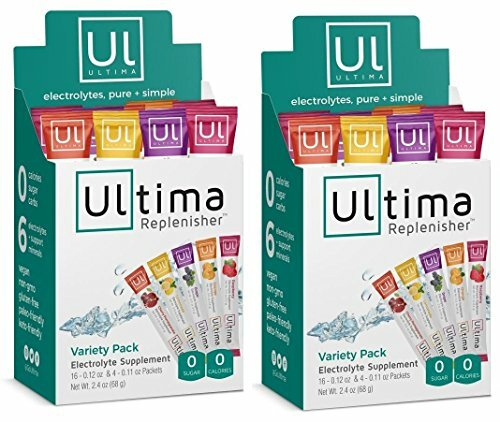 Ultima Replenisher Variety Pack includes 5 delicious flavors, Cherry Pomegranate, Grape, Lemonade, Orange, and Raspberry, so if you're trying a flavor for the first time or just want to try something different this is the perfect box for you. Add Ultima to your 16 oz water bottle to help replenish vital electrolytes lost when you sweat. Made with clean ingredients, all 6 electrolytes plus support minerals, real fruit flavors, plant-based colors, zero sugar, zero calories, zero carbs and sweetened with stevia leaf. Vegan, keto, gluten free, soy and dairy free, paleo friendly, caffeine free- Ultima is the perfect electrolyte balance in a formula that is pure and simple. 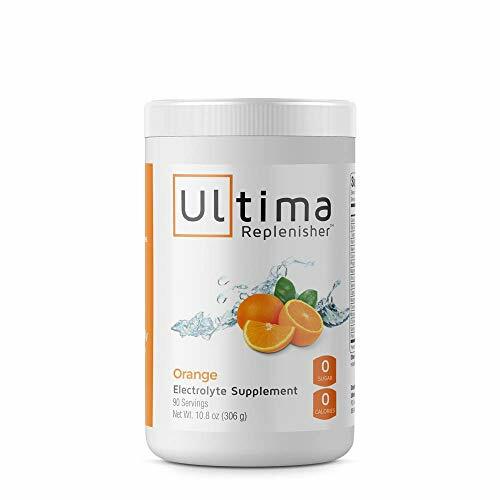 Ultima is your go-to choice for healthy replenishment so you can feel and perform your best before, during and after a workout. 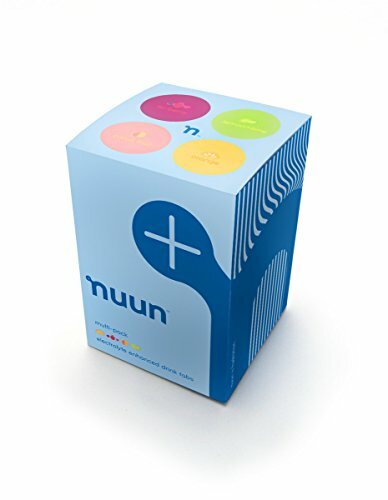 Great for kids, adults and seniors to prevent dehydration during moderate activity. Helps prevent muscle cramping, maintains fluid balance and allows for rapid re-hydration without blood sugar spikes or stomach upset. 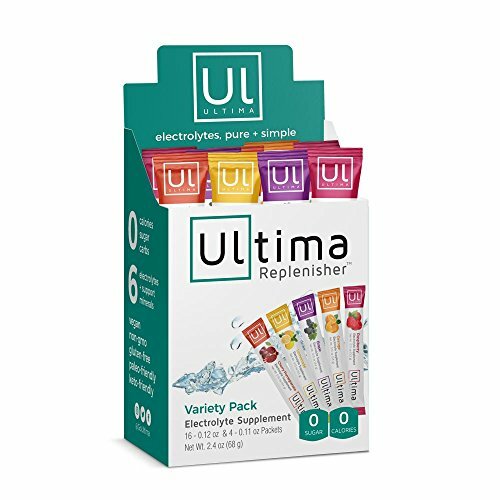 Brand: Ultima Replenisher | Manufacturer: Ultima Health Products, Inc. 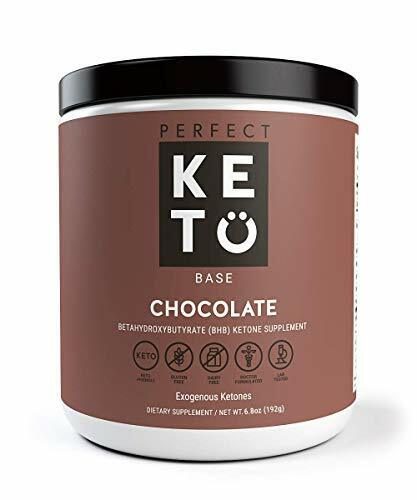 Perfect Keto is the most effective, best-tasting ketone supplement out there. Unlike other ketone supplements, we source our exogenous ketones from the US. Our founder is a functional medicine clinician who developed our unique formula for maximum efficacy. We use absolutely ZERO fillers, gums or additives (unlike competitors) in our product. Many of our customers have reported Perfect Keto raised their blood ketone levels 1-1.4 mmol , and that they feel a burst of energy and focus. "I have been experimenting with Intermittent Fasting and Ketosis protocols for 15 months, and have not found a supplement as safe and effective as this one. Being a doctor in the Health and Wellness industry I get a lot of questions about products and supplements and I am very skeptical about most and the claims that are associated with them, not only is Perfect Keto Base delicious, and affordable." Ingredients We use only high-quality beta-hydroxybutyrate (BHB) salts in Perfect Keto. Each serving comes with 11.3 grams of BHB. Quick note Exogenous ketones are not delicious. They are not meant to be delicious. In fact, when taken alone, they are horrendous. We engineered our products to deliver the many benefits of exogenous ketones without losing your lunch. However, many people will still find the product slightly bitter, or to have a strange aftertaste. Beta-hydroxybutyrate salts (BHB): Nutrition strategies that rely on carbohydrates always leave us needing more food. On the other hand, the ketogenic diet relies on and taps into your body's stored fat for longer, more stable energy with no bonking. Many keto-lovers adopt this lifestyle because they love the mental clarity, focus, and productivity that they experience while in ketosis. Whether you're full-time keto or not, our Perfect Keto is designed to support ultimate mental performance. We care about what you put into your body as much as you do. With all 6 electrolytes plus support minerals, real fruit flavors and plant-based colors - we're your go-to choice for healthy replenishment so you can feel and perform your best. 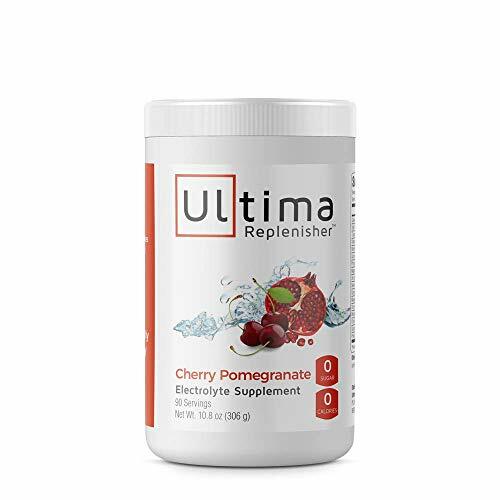 With Ultima's enhanced formula, each serving has 100 mg magnesium, 250 mg potassium and 55 mg sodium-all important electrolytes-and all without maltodextrin (except for the amount that the natural flavors use as a carrier). Warranty: Case by case basis, depending on level of damage. 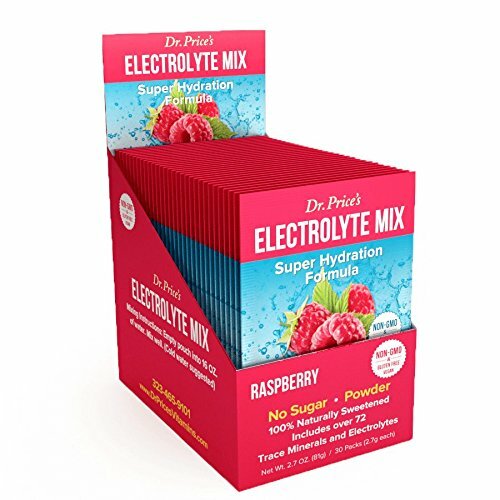 Dr. Price's Electrolyte Mix is a blend of over 72 Trace Minerals and Electrolytes. We have created a formula that will benefit all types of people ranging from the elite athlete to your personal hydration needs. A great tasting and convenient way of hydrating properly and naturally! Whether you are a beginner or elite athlete or just someone living in a hot and humid environment, proper hydration and electrolyte consumption is essential for health and performance. If the body has a lack of hydration (water) WITH electrolytes (minerals like salt, potassium and calcium), it causes an imbalance and a loss of minerals that should flow through the joints; this can cause inflammation, pain and arthritis. Water alone without electrolytes, will not properly hydrate the body. The joints and cells in the body need a perfect balance of minerals to work properly. Dr. Price's Electrolyte Mix has achieved this perfect balance. THE HIGHEST QUALITY ELECTROLYTE HYDRATION FORMULA. Unlike many other supplements, Dr. Price's Electrolyte Mix has a blend of over 72 Trace Minerals and Electrolytes created to benefit individuals ranging from the elite athlete to your personal hydration needs. NON-GMO, GLUTEN FREE, VEGAN, KETO & NO SUGAR! 100% Naturally Sweetened with Stevia Leaf Extract. Powdered water-soluble sports drink formula that mixes with liquid for FAST and EASY absorption. 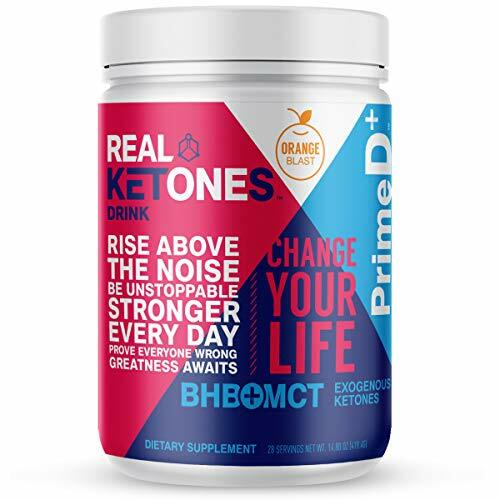 Real Ketones Prime D+ is the only multi-patented BHB+MCT exogenous ketone supplement that delivers faster, sustained ketosis. Prime D+ fuels ketosis in just 60 minutes, with bio-identical ketones that help your body produce its own natural ketones. Now your keto diet can fuel your body's own fat-burning ability with a pure, clean energy source, and more ketopower in every gram. It's the most powerful exogenous ketone supplement for sustained keto weight loss, focus, and energy. BHB + MCT EXOGENOUS KETONES FOR EVERYBODY: Real Ketones Prime D+ exogenous ketones fuels quick, sustained ketosis, which allows your body to burn fat rather than glucose for its primary fuel. Our multi-patented formulation of BHB+MCT ketones helps your body produce its own ketones and ignite its own fat-burning ability. Prime D+ will enhance brain function, improve sleep, and increase energy without the jitters or the crash, giving you natural energy your body prefers to perform your best. PRODUCE YOUR OWN KETONES NATURALLY WITH BHB+ MCT: Prime D+'s BHB+MCT patented formulation mimics the body's natural ketogenic process with exogenous ketones that turn on your body's own fat burning ability within an hour, helping to elevate and sustain ketone levels. 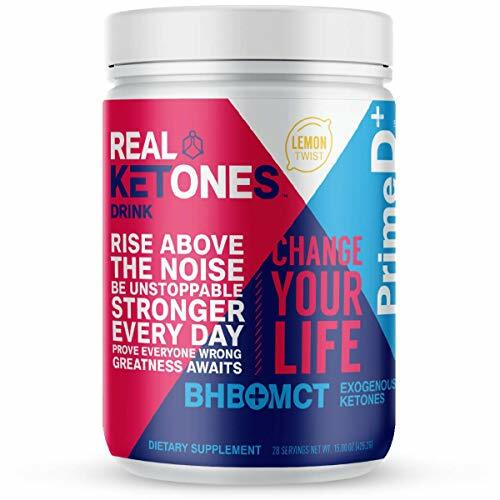 All other ketone supplements are limited to delivering BHB ketones, which will indeed spike your ketone levels, but will not deliver consistent ketosis by helping your body make its own ketones. ALLOWS FOR FLEXIBLE KETO DIET: Prime D+'s exogenous ketone formula makes staying in ketosis much easier with your keto diet. 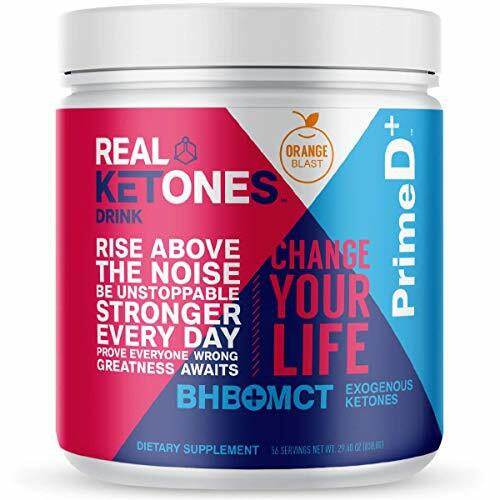 By providing your body ketones, you have more flexibility when eating carbs because PRIME D+'s BHB + MCT ketone combo bridges the gap to keep you in ketosis. While a few extra carbs in just a plain keto diet will throw you out of ketosis, PRIME makes keto dieting much easier, cheat day friendly, more carb flexible and worry free. BEST TASTING KETO SUPPLEMENT & QUALITY INGREDIENTS GUARANTEED: Prime D+ tastes great and is formulated with key nutritional ingredients not found in other ketone supplements. Our pure exogenous ketones combine 4 balanced electrolytes calcium, magnesium, potassium, sodium with Prime D+ Energy blend and a proprietary Bio-Enzymatic blend to ensure the most balanced ketosis experience & performance potential. Prime D+ is allergen free, and is 100% non-GMO. FREE REAL KETONES APP INCLUDED WITH PURCHASE: Now you can get complete keto diet and lifestyle guidance with any Real Ketones purchase. Daily tips and guidance: Keto tips, grocery lists, recipes and more. One-on-one support: Always here to answer questions. Weight and progress tracking: Track your fitness journey. Food and activity planning: Stay on track with your diet and exercise program. Our Sport Hydration Drink Mix Was Created To Replace The Electrolytes Lost In Sweat Using Real Fruit For Flavor. This Gives It A Light Taste That Will Delight Your Taste Buds Without Offending Your Belly. We Know You Push Yourself To Be Your Best And This Product Was Made To Help You. When It Comes To Getting Your Hydration Right, This Is As Simple As It Gets. And As Usual, Simple Is Better. G Fuel was formulated out of necessity to give you "in the moment" focus, driven by a calm consistent energy. Whether you're in the game, in the gym, or even in the office - G Fuel drops you back in life's driver seat. While energy drinks pretend to give you buzzing energy with their sugars and syrups, they don't quite fit the bill. Think back and remember the last time you heard about energy drinks causing health problems due to their nasty chemicals and additives. This is part of the reason why we created G Fuel - a solution that gives you clean and straight energy all throughout your day. 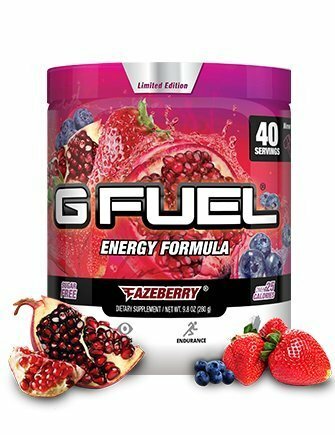 Not only does G Fuel come in a variety of flavors that taste great, but G Fuel is water based and sugar free - which means that it's better for you. What if you could flip a switch and instantly unlock limitless energy, focus, and concentration? In order to explain why G Fuel is the "hand" that flips this switch, I need to ask you a question. Do you know what MMA fighters, pro gamers, thrill seekers, and even some of the most physically fit athletes in the world have in common? They're running on G Fuel. But remember, you don't have to be an athlete to use G Fuel. Our entire world runs on energy, focus, and concentration - every job, sport, and lifestyle. Whether you're looking for an edge or just a driving force to get you through the day, G Fuel is the Energy Formula you've been looking for. 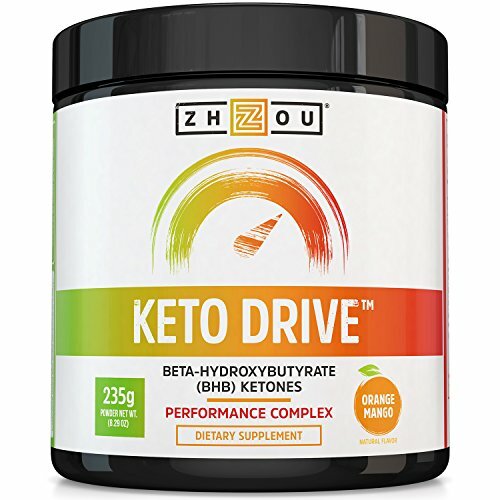 KETO DRIVE was formulated to bring you peak physical and mental performance and get you into Ketosis faster than you ever thought possible- all with a refreshing Orange Mango taste that you'll love adding to your routine. ACCELERATE PERFORMANCE - This keto friendly complex of patented beta-hydroxybutyrates (BHB) was designed for the specific needs of the ketogenic lifestyle to help you achieve ketosis and still perform at your peak. Keto Drive is formulated to help support increased blood ketone levels, athletic endurance, mental performance and sustained energy. Get the physical and mental drive you need to power through your day and conquer your workouts. REFRESHING FLAVOR - Finally, a BHB drink that actually tastes good! If you've tried other exogenous ketone supplements, you'll agree that most taste horrible. That's simply because the ketones themselves have a very strong taste that's difficult to mask. Zhou's team of experts spent countless hours crafting a refreshing tropical flavor that rivals the best tasting pre workouts. CONVENIENT & MIXES EASILY - Keto Drive tastes great with only water, but feel free to add it to shakes or other liquids, too! The powder mixes easily into cold beverages, and is convenient for travelling or your daily trip to the gym. You won't want to be without it! Ketones are very clean energy sources as they produce far less metabolic waste and free radicals than sugar & carbs (glucose). In addition, ketones such as BHB produce far more energy per compound than sugar. KETO Moon & KETO Fusion Combo - While KETO Fusion can help you power through your toughest workout days & daily activity goals, try out KETO Moon that can help you achieve Ketosis while you sleep! KETO Moon has Melatonin (Sleep-aid) and L-theanine (relaxation) to help you have a better night of sleep. Importance of Keto Diet In order to truly experience Ketosis in the body, a ketogenic diet or fasting is recommended. When blood sugar lowers due to a low-carb diet or intermittent fasting periods, the liver begins to produce BHB from medium that come in from our diet or from our stored tissue. 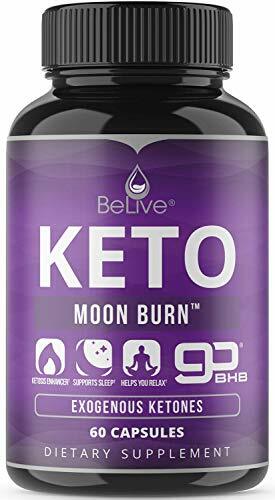 With BeLive's BHB KETO products, you can consume additional BHB to activate or stay in Ketosis. KETO MOON & KETO FUSION COMBO - While KETO Fusion can help you power through your toughest workout days & daily activity goals, try out KETO Moon that can help you achieve Ketosis while you sleep! KETO Moon help you have a better night of sleep. Electrolyte Powder - Balanced, Hydrating Electrolyte Replacement - Variety Pack Single Serve 20 Count Stickpacks (Pack of 2) -- Containing all 5 delicious flavors in one box! Get your hydration on-the-go with these handy single-serving stick packs! Ultima Replenisher contains a perfect balance of all 6 electrolytes plus support minerals that work together to provide complete hydration without stomach upset so you can feel and perform your best. -- Zero Sugar, Zero Artificial Flavors, Zero Calories, 100% Awesome! 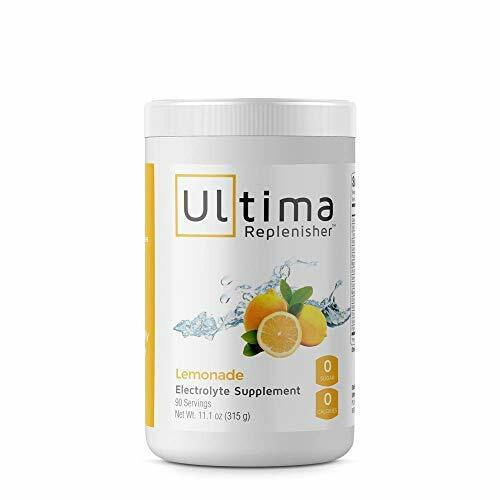 -- Vegan, Non-GMO, Gluten-Free, Caffeine-Free, Keto-Friendly, Paleo-Friendly, Peanut-Free -- Ultima contains a perfect balance of all 6 electrolytes plus support minerals that work together to provide complete hydration without stomach upset so you can feel and perform your best. Ultima is sweetened with stevia leaf and made with real fruit flavors that taste delicious. This formulation contains Vitamin C (Calcium Ascorbate) which supports a healthy immune system, protects the cells from oxidative stress and contributes to the reduction of tiredness and fatigue. Calcium to support muscle contraction and nerve function. Phosphorus to deliver oxygen to muscles, Selenium as an antioxidant support, Zinc for recovery and neuron support, Magnesium for preventing muscle cramps, Potassium for cardiac muscle support, Sodium for muscle contraction and nerve function and Chloride for osmotic pressure support. 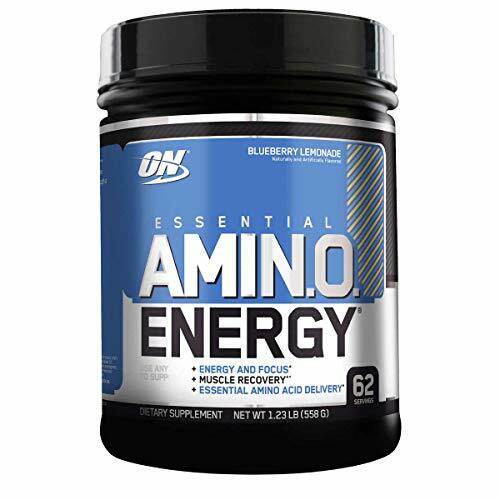 Mix up Essential Amino Energy anytime you want a refreshing fruit flavored boost of energy and alertness. You can determine what's appropriate for any situation, adding a 2-scoop serving to water for an afternoon pick-me-up or increasing the amino acid matrix to 15 grams with a 6-scoop pre-workout strength supplement delivering 300 milligram of caffeine from green coffee and green tea extracts. The level of support is entirely up to you. Micronized free-form amino acids for faster absorption. Supports recovery before, during & after exercise. 100 milligram of caffeine from natural sources and just 10 calories per serving with zero sugar. 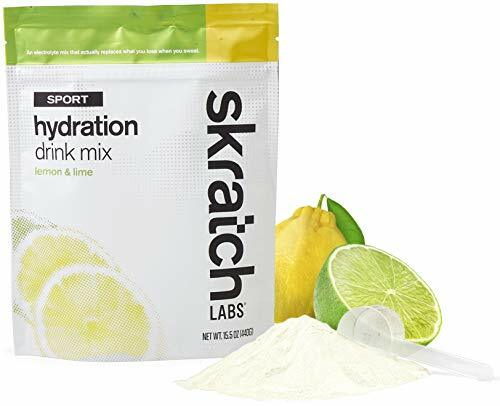 Electrolyte Powder, Lemonade Hydration Supplement: 90 Servings, Carb, Calorie & Sugar Free, Delicious Keto Replenishment Drink Mix. 6 Key Electrolytes - Magnesium, Potassium, Calcium & More. Hydration is essential for health, longevity, and performance. Water isn't enough. You need a balanced mix of all 6 electrolytes to replenish. the minerals lost in your daily routine. Electrolyte Powder Plus is the answer you need. This electrolytes powder is the perfect supplement for complete hydration. Perfect Balance of Potassium, Magnesium, Sodium, Calcium, Phosphorus, and Chloride. This mix will keep you feeling great and full of energy all day long. Electrolyte Recovery Plus includes 13 additional vitamins and minerals to support your active lifestyle and enhance your performance. This isn't a standard bare bones electrolyte powder mix. This electro mix will have you feeling at the top of your game every day. Key Nutrients' Electrolytes is naturally sweetened with Stevia extract so you aren't getting any calories or carbohydrates. This makes Key Nutrients' Electrolytes the right choice as your keto electrolyte drink mix. This mix includes all 6 essential electrolyte minerals: Sodium, Potassium, Magnesium, Calcium, Phosphorus, and Chloride. You'll be getting the proven balance of these minerals each time with our researched and tested formula. It's easy to use this hydration multiplier at home, at the gym, or while you travel. It's an easy to mix drink that dissolves in water or juice, no shaker needed. Just stir! 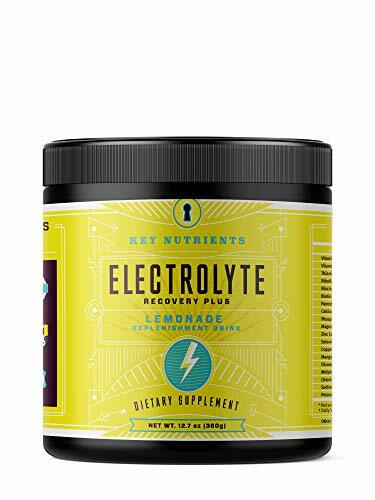 Key Nutrients' Electrolytes is an ideal choice as a hangover drink to replenish lost minerals and get rid of that headache fast. It can also be used as a recovery drink after an illness or as an endurance supplement before a big race. This electrolyte powder for keto dieters is a workout powder and energy powder drink mix that can help you get the most out of your workout without sabotaging your diet. Most people don't get enough electrolytes from diet alone so this mix includes potent amounts of magnesium powder and potassium citrate for easy absorption. Ultimate Keto Electrolyte Supplement - Sugar Free, Calorie Free, 0 carbs, Plant-Based, with Stevia Extract. 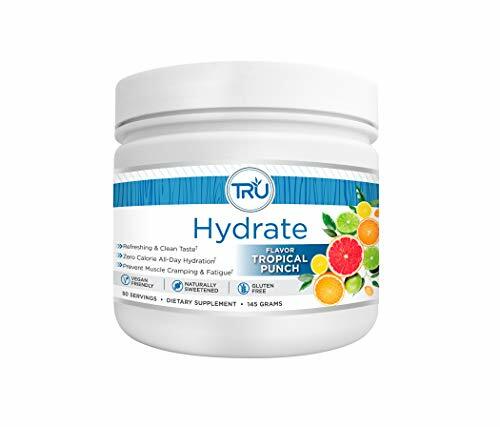 TRU Hydrate is our delicious, zero calorie, all day drinkable formula of the crucial electrolytes our bodies need to function optimally. Maintaining proper hydration will increase exercise and activity performance by preventing muscle cramping. Even more important however, is the importance of hydration throughout the day. Staying hydrated will increase fat loss and energy levels while also helping appetite control and digestion. Each container has 50 servings and is a great flavor enhancer mixed with water both before/during/after your workout as well as all day long! With TRU, staying hydrated doesn't have to be boring! STAY HYDRATED - Active individuals should drink at least 80 ounces of water per day. TRU Hydrate makes it easy! Elevate your mornings even further with the new Elevate NITRO coffee. Elevate NITRO relies on clinically proven ingredients packed. into a delicious, high-quality blend. The 100% Colombian Arabica coffee blooms with a bold, aromatic body. Using clinically proven, naturally extracted polyphenols, Elevate NITRO delivers powerful nitric oxide with extreme antioxidant capability. 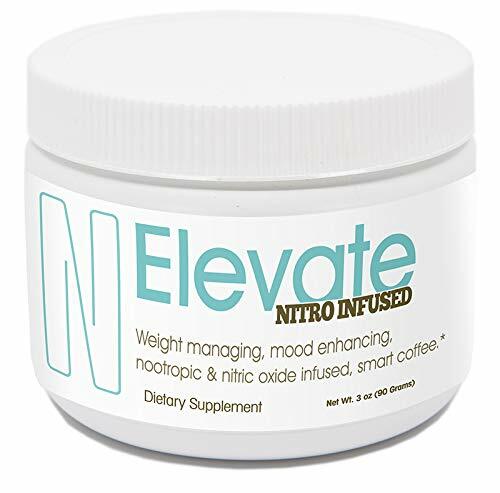 Each cup of Elevate NITRO helps generate efficient blood flow, boosts nutrient and oxygen delivery, naturally improves fatigue levels and performance, and increases energy and endurance levels. Kickstart your routine with Elevate NITRO, the smarter coffee way to start your day. Elevate Coffee with natural NITRO. 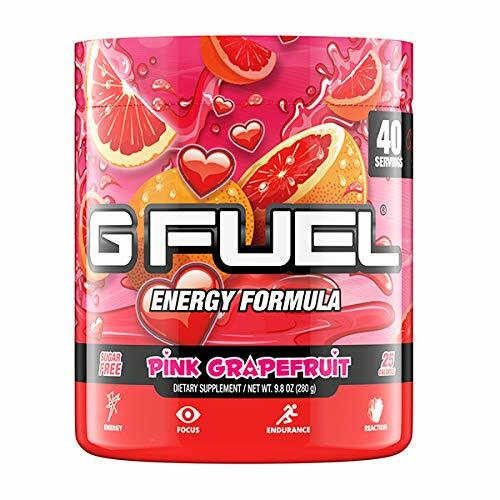 G Fuel Pink Grapefruit Tub (40 Servings) Elite Energy and Endurance Formula 9.8 oz.